This unicorn picture was drawn by Ava before her previous lesson. Me: We can put your stuffed alligator on the piano and it can our audience BUT if you’re going to act silly, I’ll turn him around and have it face the wall. A: His name is Mr. Tiny. He doesn’t like unicorns… he’s scared of them. 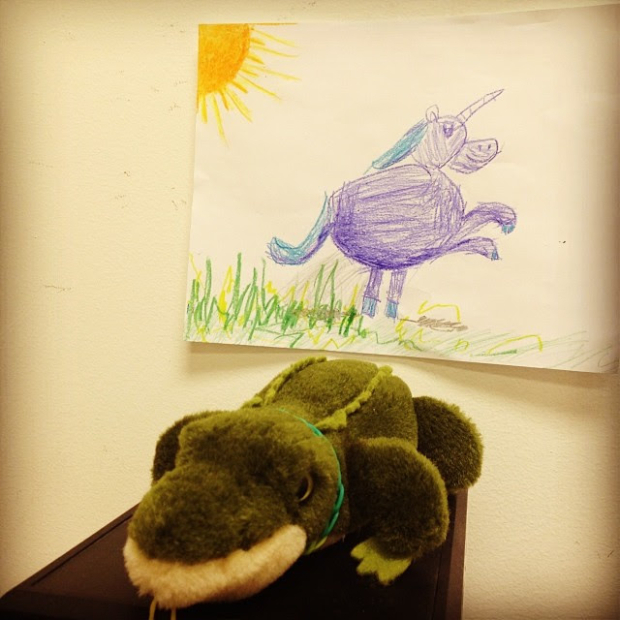 Me: Your alligator is scared of unicorns?